I’ve collected pens for nearly seven years – spending four of them working in a fountain pen store. I cared for the specimens day after day, able to get a feel and appreciation for just about every brand out there. I’ve spent an additional three years in the pen business, and travelled the US to experience all of the regional pen shows. I would consider myself nearly an expert. It is from this perspective that I will write to you. I have a relatively low pen budget (higher than most, but I still consider it realistic). I do my best to blend collectability, performance, and value into all of my pens. Over these seven years, I’ve grown my collection to over 200 pens, and narrowed it back down again multiple times. From this expansion and condensation, I’ve found myself left with a rather curated collection. I will go into it, one at a time, and share with the world what I feel are the best pens available. 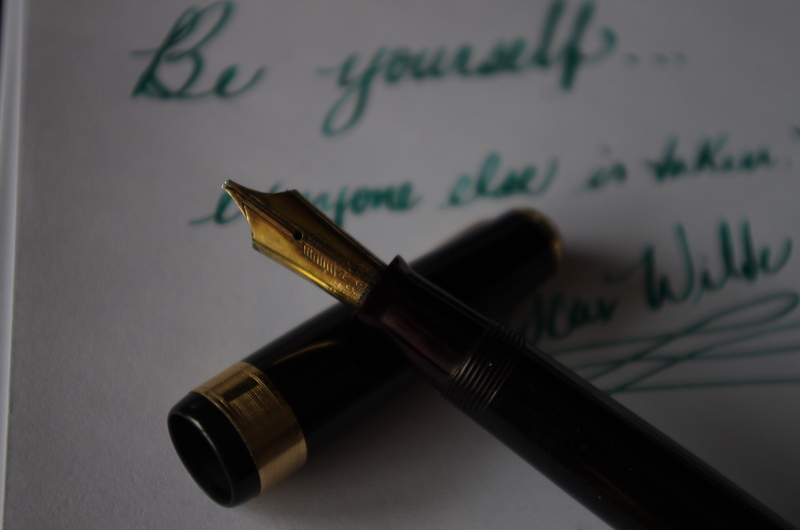 Today I will go into the Parker Vacumatic, from the 1930’s. For me, this pen represents the first major modernization of pens. 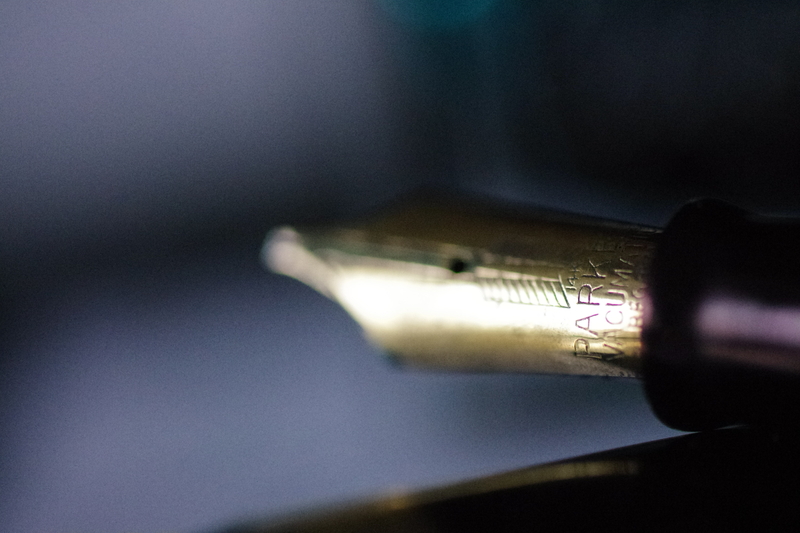 Over 30 years after the lever-filler was introduced, the pen world began seeing a new trend emerge as newer technology was implemented into writing instruments. 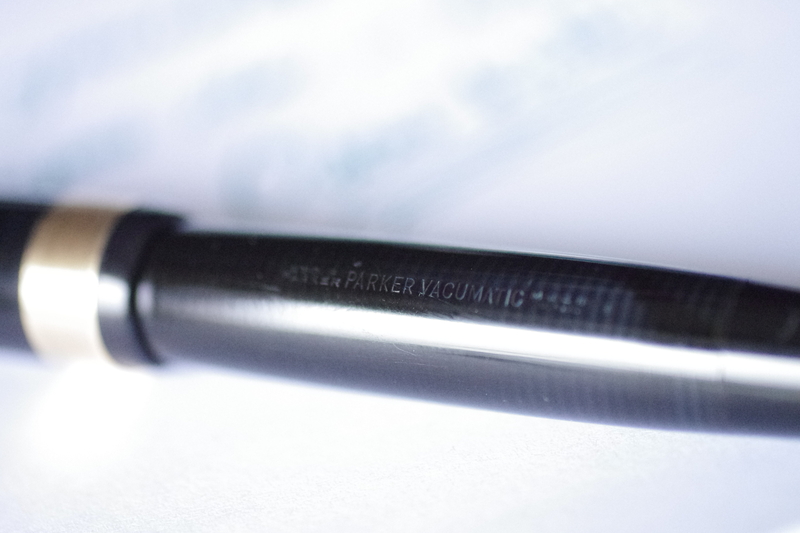 Both Sheaffer and Parker ventured into a vacuum based filling. The Vacumatic introduced a fantastic line of celluloids (that give off a lovely camphor smell nowadays) that I find to be one of the most aesthetically pleasing materials ever made. They are subtle, yet offer layers upon layers of color, depth, and beauty. Couple this material to an incredible efficient filling system, and you’ve got yourself one of the greatest pens ever made. 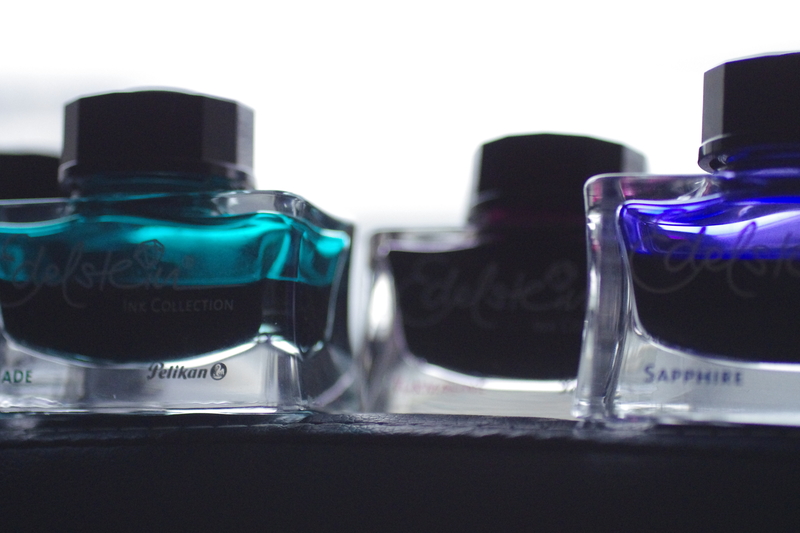 The pen was available in a number of sizes, notably the debutante (smallest, outside of the junior), major (medium-sized), and the maxima (largest). There were a number of variants, but these three are the most commonly described today. They came in a range of colors including black, green, brown, gray, blue (hard to find in good shape), and burgundy/red (2 different colors available, both somewhat rare). As with most pens, the largest were the most expensive, and offer the most collectable value. The nibs were all 14kt gold, and typically firm. They offered almost exclusively fine and medium points, but the occasional exotic nib does arise every now-and-then (and commands a premium). Most nibs were monotone, but some of the higher-end models offered a palladium mask two-toned appearance – which I find quite attractive. This model was the flagship model during the 30s and 40s, until the introduction of the streamlined Parker 51. Comparing these two models is a great window to the past – the Vacumatic and its exotic plastics, and the 51 with its more refined tones and engineered appearance. Often considered the greatest pens Parker ever produced, these two models overlapped only in the filling system utilized (until the Parker 51’s vacumatic was replaced with more modern technology in the coming years). I’ve owned at least one of every color maxima, as well as around 40 other Vacumatics of various shapes, sizes, colors, and nib options. I have found that I would use the same select few more than others, and so I would move the others onto new homes. After a few cycles of this, I’ve come to where I am today. 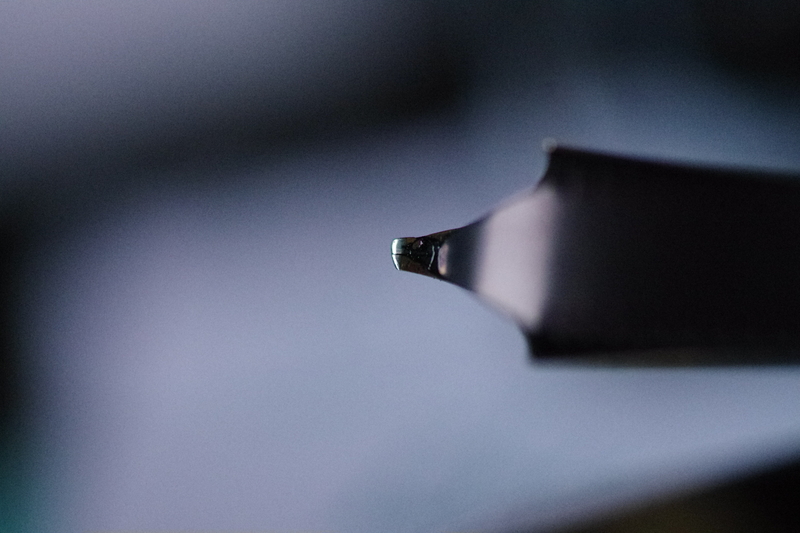 Black Maxima Vacumatic with ‘stacked coin’ jewelers band and flexible, italic, double/triple broad MONSTER of a nib: This pen is never not inked. Literally, never. 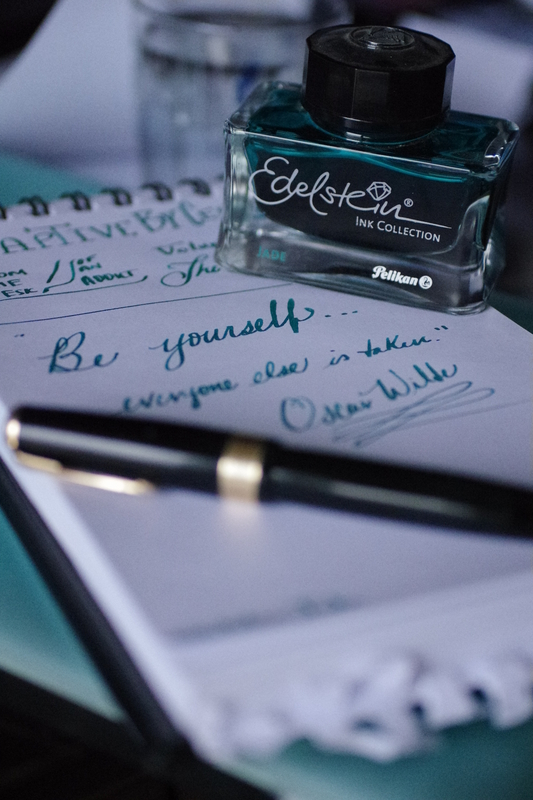 It is my go to pen for letter-writing and that personal, handwritten touch. 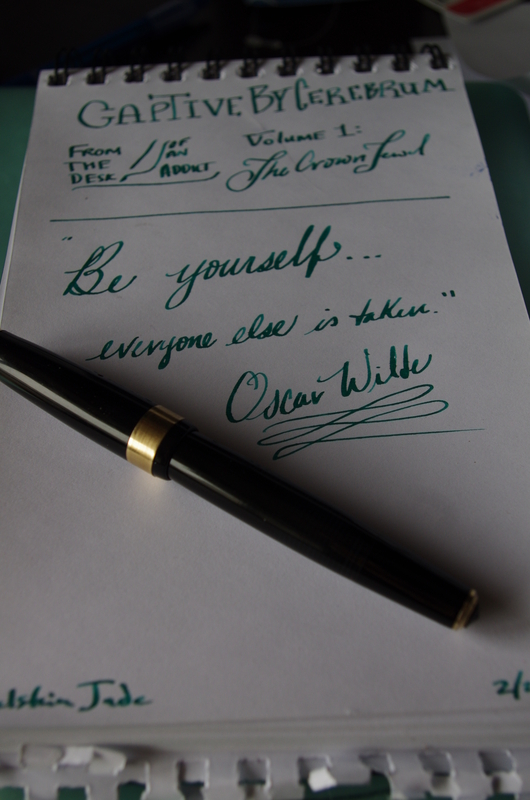 The pen came to me from Ebay – a source that is invaluable to the vintage pen collector. I typically comb through the ads for my pens of interest once or twice per week, just in case there is something I can’t live without. Well, on this fateful day, this pen was listed simply as ‘Black Parker Pen’ with a reasonable Buy It Now price. I jumped on it. Ever since then, it has lived in my Franklin-Christoph 3-Pen Napa Leather Case. Let me know what you think!